Born in Pennsylvania, Beverly Rogers moved with her family to Las Vegas in 1962. Working full-time while attending college, she earned a bachelor’s degree in history from UNLV in 1977 and afterward built a career in radio and television sales and marketing. 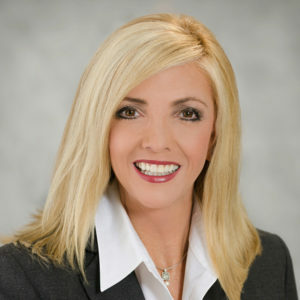 She married Jim Rogers, owner of Intermountain West Communications (KSNV-TV) in 1997 and worked in marketing for their television stations outside of Las Vegas. 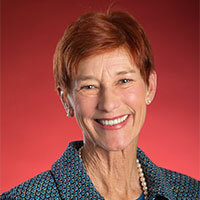 She has served on various local nonprofit boards. In 2003, Beverly returned to UNLV to earn a master’s degree in English. Her passion for reading led her to an interest in Black Mountain Institute at UNLV, an international center for writers and scholars that offers free literary-based events to the community. She has served on the BMI board for several years and continues to be active. After a $10 million dollar donation by her husband in 2013, the center is now called Beverly Rogers, Carol C. Harter Black Mountain Institute. As an avid bibliophile, Beverly studies and collects Victorian novels and material produced by a 19th Century forger. She plans to donate her library to the newly established special collections library at BMI. Rory Reid is currently the founding partner of the Law Office of Rory Reid. His law practice focuses on government relations, real estate and state and local permitting with a particular emphasis on the energy sector. He also serves as President and Chief Operating Officer of The Rogers Foundation. Rory was raised in Southern Nevada and educated in its public schools. He has been active as both a business and civic leader in the community and on the boards of several civic organizations. Rory was elected to the Clark County Commission in 2002 and was appointed its Chairman in 2005 and 2007. The Commission oversees the nation’s 14th largest county, which includes the Las Vegas Strip. During his tenure, Rory championed economic development, ethics reform, open government, and improved social services. The Las Vegas Review-Journal named Rory its “Best Local Politician” in 2007, and he was the Democratic nominee for Governor of Nevada in 2010 and was named among the “Best Lawyers in America” in 2012. He has received numerous other awards and recognitions for his extensive service. Rory and his wife, Cindy, are the proud parents of three children. Amy Hunter has worked for over 13 years in the areas of Organizational Development, Human Resources and Training. Her work has included a broad range of technical functions such as human resources, employee training and development, management and supervisory training, strategic planning and communications. Hunter is recognized as a professional who becomes invaluable very quickly to every client she engages with. She quickly evaluates and assesses strengths and challenges within an organization and develops partnerships to guarantee maximum results. Hunter was employed in the human resource and training executive positions in the automotive industry with Dana Corporation while transitioning their workforce with lean initiatives across the U.S., Canada and Mexico. She moved to Las Vegas, Nevada as Director of Human Resources with VSR Industries, the leading supplier of high security locks and slot machine bases. She joined The Simmons Group team in 2008 where she has worked with some of the most outstanding clients. She has provided consulting services to such diverse clients as Bally Technologies, Silverton Resort & Casino, The Siegel Group, Deustche Bank, and more. Hunter is a graduate of The University of Toledo, where she earned a BA in Small Business Finance, Entrepreneurship and Management, as well as a Masters in Administration and Human Resources. She loves spending time with her family, although most of them are in Ohio. She and her husband often find themselves back there enjoying family time together. In her spare time, Hunter enjoys scrapbooking, participating in local charity runs, and reading anything she can get her hands on. One of Hunter’s other passions is giving back, so you will find her volunteering with a program that raises money to send teens in the community to Leadership Training, as Board Member for the “Keep it Alive” Foundation. Most notably, sitting as the Chair of the Board of Trustees for Core powered by The Rogers Foundation, where most of her volunteer time is spent. Lisa Howfield is the Vice President and General Manager of KLAS-TV 8 (CBS) and its associated digital services, including Me-TV and Movies! ; community web portal LasVegasNow.com and Tactive© Digital Services serving the Southern Nevada community. Howfield started at KLAS in August 2015 with nearly 21 years of television broadcast experience in the Las Vegas market. She is thrilled to be part of a legacy and award-winning news operation that provides quality information to her hometown through programs such as Buddy Check, Wednesday’s Child, Cool in School, Acts of Kindness and Emmy® award-winning I-Team stories. Prior to working in the broadcast industry, Lisa held sales and marketing positions with Warner Bros., Rhino Records and Polygram Records in Los Angeles, California. Howfield has been involved with various organizations such as Nevada Broadcasters Association, Women in Communications, Women in Film, Working Moms in Business and The Salvation Army. Currently, she serves as Vice-Chair for Core powered by The Rogers Foundation and Board Trustee with the Las Vegas Metro Chamber. In 2008, she was awarded “General Manager of the Year” for markets 26+ within the United States by Broadcasting & Cable magazine. The FCC deemed her as “gutsy” when she pioneered the “Pull the Plug” analog test in preparation of the Digital TV conversion which was then adopted by stations across the country. In March 2010, Howfield earned the esteemed title of author with the release of her first college textbook published by Focal Press titled Managing Electronic Media, written specifically for upper collegiate classmen studying Communications. Born in Prattville, Alabama, Lisa moved to Las Vegas at the age of 6 months. After graduating from Bonanza High School, she earned her B.A. degree in Business Communications with an emphasis on Business Management and Television Production from Pepperdine University in California. In her spare time, she enjoys spending quality time with her husband, former NFL kicker, Ian Howfield; son, Kyle Root, who will be graduating with a B.A. degree in Journalism from UNLV Spring 2016, and her two Miniature Schnauzers, Huey and Ziggy! Paul was the founding Chair of the Southern Nevada Chapter of the I Have a Dream Foundation. He has served in leadership roles for a number of non-profit and professional organizations, and has taught both energy law and business ethics/leadership as an adjunct professor. 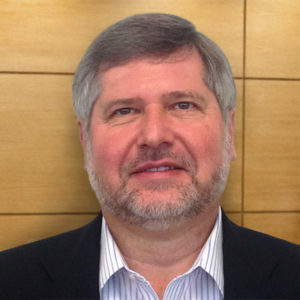 Since March 2014, Paul Kaleta has served as Executive Vice President & General Counsel of First Solar, one of the leading solar manufacturers, developers, and EPC Contractors worldwide. Prior to joining First Solar, Paul was Executive Vice President, General Counsel, Shared Services & Secretary, at NV Energy, Inc., which was acquired by Berkshire Hathaway’s Energy Group in December 2013. Before that, he was Vice President and General Counsel for Koch Industries, Inc., one of the world’s largest privately held companies with diverse businesses worldwide, including refining, petrochemicals and commodity trading, among others. Before joining Koch, Paul was Vice President and General Counsel of Niagara Mohawk Power Corporation (now part of National Grid). In private practice, Paul was an equity partner in the Washington, DC law firm Swidler & Berlin and an associate in the Washington, DC office of Skadden, Arp. He holds a juris doctor degree from Georgetown University Law Center and a bachelor’s degree from Hamilton College. 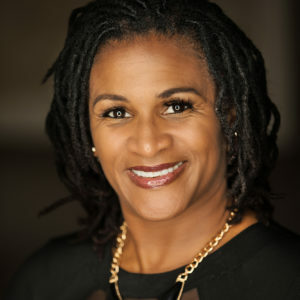 Michelle L. Sanders, a longtime resident of Las Vegas, Nevada, is the Director of Finance and Administration for The Rogers Foundation. 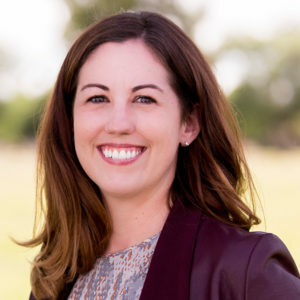 Originally from Richmond, Virginia, she began her education at Virginia Commonwealth University and later completed a Bachelor of Arts Degree in Organizational Leadership from Arizona State University. Michelle previously worked for Intermountain West Communications Company, serving for over twenty years as General Manager for the Talk Radio station and as Accounts Payable Manager. During her tenure with IWCC, she worked within the non-profit community handling many of the philanthropic endeavors for the Rogers family. 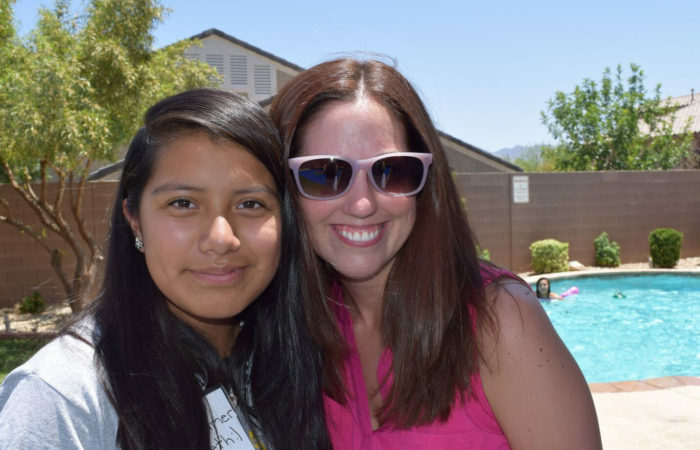 Michelle has a strong sense of pride and commitment to the Las Vegas Community and applies these qualities daily through The Rogers Foundation. Having worked for the IRS, Mr. Williams has nearly three decades of experience conducting and supervising drug, money laundering, structuring, and tax investigations. Mr. Williams has extensive experience working white collar fraud investigations and with narcotics task forces to dismantle and disrupt major drug trafficking organizations using forensic accounting and indirect account methods. He has been a member of the HIDTA Executive Board, the Organized Crime Drug Enforcement Task Force (OCDEFT), and the Executive Joint Terrorism Task Force (JTTF). In addition, Mr. Williams also work for the Secret Service and protectees President Bill Clinton, and President George H.W. Bush. Mr. Williams created and deployed fraud awareness training workshops to 3,000 IRS Revenue Agents, Tax Auditors, and Special Agents across the U.S. 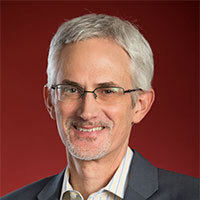 He earned a Directors Award for investigative technological advances for designing and deploying the IRS’ first-ever subpoena database (Serve IT), the IRS’ first ever electronic knowledge management database (CASE), and designed a computer program used to share investigative insights, knowledge, experiences, and best practices, which resulted in increased investigative productivity and organization efficiency. From March 2013 thru January 2016, Mr. Williams worked as a contract financial investigator with the Southwest Border Anti Money Laundering Alliance (SWBAMLA). His work with SWBAMLA included work with the California Department of Justice Anti-Money Laundering task force and the Chula Vista California Anti-Money Laundering task force, whose members included the FBI, DEA, ICE, and other state and local law enforcement. Mr. Williams provided financial analysis, investigative support, and investigative mentoring to task force members. 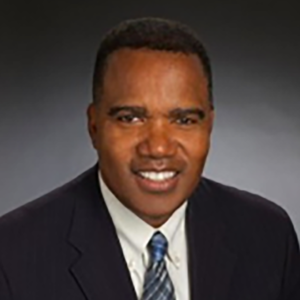 Mr. Williams is the principal owner of Make It Marcus, a financial consulting, services, and forensic accounting business since 2016. 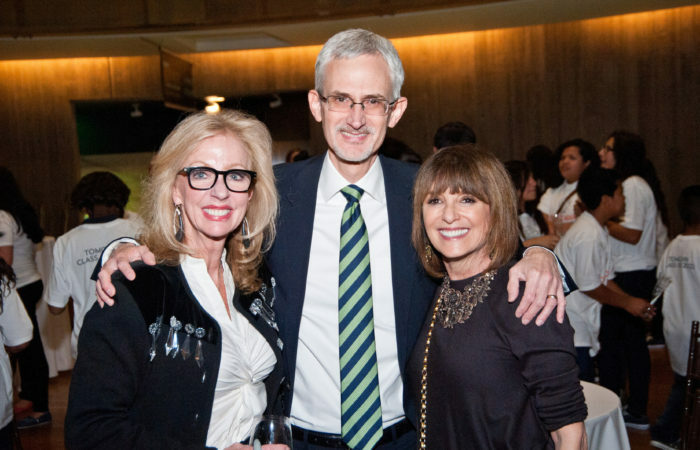 Jan Jones Blackhurst, Rory Reid, and Barbara Molasky helped celebrate the incoming Tomchin Class of 2022. Every year Amy and Tim Hunter host a huge bbq at their home. They always have great music, food trucks, pool games, and last year they had inflatable sumo wrestler costumes and the guests wrestled one another. They raise money and guests can win prizes. 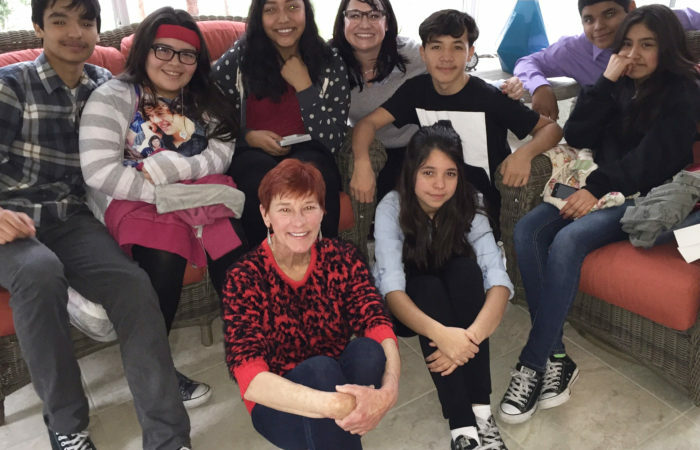 Board of Trustee member, Beverly Rogers, celebrating the holidays with our Scholars. ©2018 Core. All rights reserved. The Rogers Foundation is a 501(c)(3) non-profit organization based in Las Vegas, Nevada. Founded in 2013 by Jim and Beverly Rogers, The Rogers Foundation awards scholarships to individual students in Southern Nevada, grants to educational institutions, initiatives, educators, artists and organizations that support the arts in Southern Nevada. Core believes all children have the right to reach their full potential and pursue individual success. Our mission is to strengthen character, build brilliant minds and create brighter futures for our community’s most under-resourced youth.